Affiliate Marketing 101: Should I Focus On One Product? I had an interesting question today from a new marketer.. This is a good question and the answer is simple, Yes and No! If you’re just starting out then my answer to that would always definitely be YES. You can always think about promoting other products later on but first its important that you take the time to ‘think’ about the type of person who would want to buy your one single chosen product. Once you have taken time to ‘think’ about that product and the type of person who would might possibly want to buy it, you then should be able to take that person by the hand and ‘lead them around your webpage’. Now OK, you wouldn’t physically take their hand and walk them around, but with web sales, this in principal is what you’re doing, i.e. reaching out to individual ‘real’ people who might fit the criteria to purchase the products you are promoting. This can take many forms, for example you could begin buy researching what other sellers and affiliates are writing about and begin writing your own creative articles, or if you prefer you could use video to communicate to your potential buyers. The easiest place to start researching is (you guessed right) Google! Use Google and type in words and phrases about the product and maybe type in questions what your target market might be asking..
For example, in the Candida market please might be talking about or asking questions about..
From there you can research forums, articles and other websites and group discussions about the type of products and about the types of questions your target person might be asking. Content in the form of articles, videos or audio recordings are all good ideas to get your message across and really at least one of these is needed to supply information to your buyers. Many good marketers begin by writing between 3 to 5 really good articles and use these as your main ‘pillar’ articles for your website. (These are the main articles that really get to the heart of what you’re promoting and the reasons why). You can present your content in the form of reviews or as informative articles or in other ways you feel best suits your style – or a combination of those. But the main thing to keep in mind is WHO your readers will be. Once you have your content in the form of articles, videos or other, you will then need to be able to physically display your content with the intention of bringing potential readers to your content. Internet marketing technology evolves – FAST! This leads me onto technology..
Way back, when I first began marketing online there was no real easy way to display content on your own website without spending days creating websites or finding someone who can create a website. These days its much easier, WordPress is without doubt the leading website content management system out there and its totally free to use. Once you have a domain name and hosting account from Godaddy, you will be able to install WordPress with a couple of clicks. Here’s a video showing how to install WordPress..
Once you have WordPress installed and setup and your articles and banners on the site, your already 60% of the way to making your first sale. The next step is promoting your website and to save ‘overwhelming’ you at this point I will go into this in another post (or simply join the affiliate marketing program here). In the meantime you should install your WordPress site , get that setup and running with your ‘3 to 5 pillar articles’ of 500 words or more. The #1 most important thing your can do to get sales with affiliate marketing is to..
..take action and cease the day! 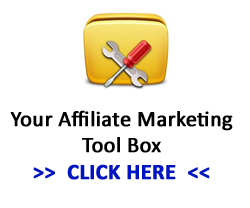 This entry was posted in Affiliate Tutorials, Beginners Guide to Affiliate Marketing and tagged Wordpress on August 10, 2013 by Admin.